The connection between the Portuguese and the British goes back a long way. Wars against the French in the past strengthened this bond, and mutual support has existed ever since. This led some to see the commercial possibilities that existed there, especially in the North of Portugal around the Douro Valley, with for example Warre & Co. establishing their Port Wine business in 1670. In fact a third generation Warre, William, was a Lieutenant General who served during the Peninsular War. Wellington too was very fond of Port and had it regularly supplied too during his campaigns. Families such as the Warre's were by no means alone, and a number of other merchants saw the export potential of sending the now highly improved fortified wine to Britain - and the demand was high. Names familiar today, such as Cockburn's, Croft, Graham's, Offley and Taylor's all have their lodges in Villa Nova de Gaia, across from Porto, where wine is matured and blended and acts as a permanent reminder of the British trading connection. So what then of the beer heritage has there been any crossover here that still survives? Portugal, like so much of Europe in general was heavily influenced by the coming of lager. After its origins in Pilzen in 1842 it swept through most of Europe on a wave of popularity, and those countries that enjoyed a more Mediterranean climate found this type much to their liking! Today two major brands of Portuguese beer predominate Sagres (established in 1927) and Super Bock (in 1934) They (along with Coral) account for some 90% of the home market. There standard lagers are very much in the typically pale European styles, clean flavoured and correct, but lacking in personality. However within the Super Bock range one beer exists that does indeed have British overtones - Super Bock Stout. 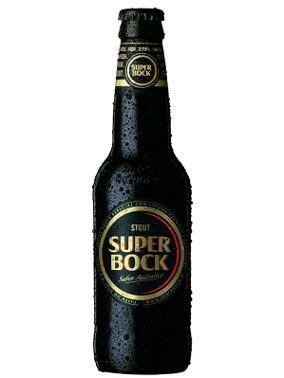 The name in itself is a strange amalgamation, as although Super Bock is the brand name the 'Bock' element alludes to the stronger beer style made famous in Germany, whilst the 'Stout' element is very much an English creation. The name then is an unusual marital union! 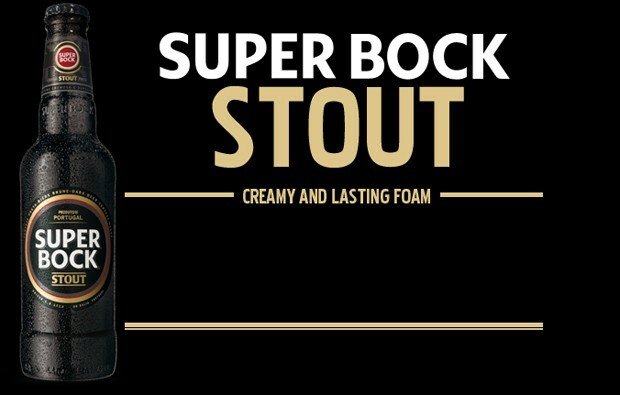 So is the Super Bock Stout in the true 'top fermented' tradition? Being a predominantly lager producing brewery this is unlikely, but enough character can be injected into the style if a heavier proportion of darker malts are used within the blend (ironically as in the darker Double Bock styles). On tasting however you feel the 'commerciability' aspect takes presidence over character here. Chilling it too low (to lager temperature) is a mistake and the beer offered up more flavour when drunk closer to cellar temperature (10C - 50F). It would be interesting to know what type of beer quenched the thirsts of the troops and merchants in Porto back in the time of William Warre the founder? Given the strong British connection there must have demand, and exports from the major brewers in Britain would have been most welcome.